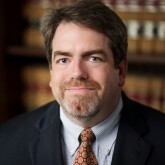 A graduate of Northeastern University School of Law, Oberlin College, and Regis High School, John M. Becker has been of a member of the Massachusetts bar since 1994. Before joining Sandulli Grace in 1996, he served as law clerk to Justice Neil L. Lynch of the Massachusetts Supreme Judicial Court. He is currently Of Counsel to the firm, where he continues to practice labor and employment law on behalf of unions and employees. John serves individual and union clients in both the private and public sectors, but he has specialized in representing public employee unions, particularly unions representing teachers and police officers. He has helped clients negotiate collective bargaining agreements, arbitrate grievances, and pursue various matters in court and in numerous state agencies. He has also brought litigation to enforce employees’ rights under the Fair Labor Standards Act and other laws. John has argued numerous cases in Massachusetts appellate and trial courts, including the U.S. Court of Appeals for the First Circuit, the Supreme Judicial Court and Massachusetts Appeals Court. Selected published decisions include: Benoit v. City of Boston, 477 Mass. 117 (2017) (workers’ compensation); Marshfield School Committee v. Marshfield Education Association, 84 Mass. App. Ct. 743 (2014) (arbitration appeal); Sheriff of Suffolk County v. Jail Officers and Employees of Suffolk County, 465 Mass. 584 (2013) (arbitration appeal); City of Lynn v. Lynn Police Association, 455 Mass. 590 (2010) (arbitration appeal); O’Hara v. Menino, 253 F. Supp. 2d 147 (D. Mass. 2003) (FLSA); Massachusetts Association of Minority Law Enforcement Officers v. Abban, 434 Mass. 256 (2001) (civil service); and Vanderbilt v. Town of Chilmark, 174 F.R.D. 225 (D. Mass. 1997) (employment discrimination discovery). Because John believes that providing his union clients with legal knowledge makes for a stronger labor movement, he has taught labor and employment law courses at the Boston Labor Guild and UMass Lowell’s Labor Extension program. He has spoken at the Legal Rights Seminar of the National Association of Police Organizations and the annual meeting of the New England Consortium of State Labor Relations Agencies and was formerly the employee-side commentator for the Massachusetts Civil Service Reporter. John has spoken at numerous Mass. Bar Association and Boston Bar Association conferences and seminars and was co-chair of the alternate dispute resolution subcommittee of the MBA’s Labor & Employment Section. He was a featured speaker at the LRIS Advanced Course in Police Discipline in Las Vegas, Nevada in November 2018 and MBA’s 2017 Labor & Employment Law Annual Conference. His article, “The Role of Public Policy in Judicial Review of Massachusetts Public Sector Labor Arbitration Awards” was published in the March 2019 issue of the Massachusetts Law Review. John and his wife Mary Christin live in Waltham, Massachusetts. Mary, a licensed clinical social worker, is a geriatric care manager with LifeCare Advocates in Newton, MA. In addition to practicing law, John is a singer/songwriter who currently plays traditional music as part of the duo Downeast Revival. He is also the author of Make Lists, Not War, a blog featuring “Best of” lists about the arts, history, science and nature, and travel.